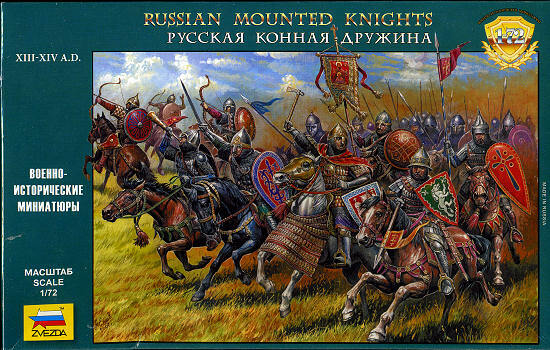 Zvezda 1/72 Russian Mounted Knights: XIII - XIV AD. 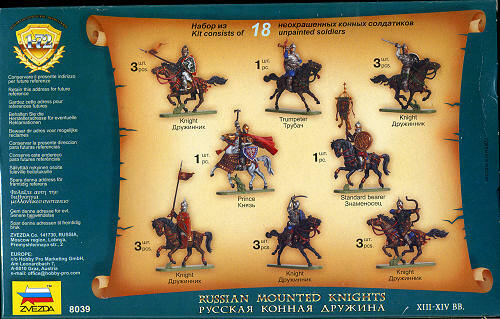 This particular set includes 18 mounted figures. There are 15 knight figures in five different poses (yep, that is three of each pose). The set is rounded out with a trumpeter, standard bearer, and a prince.